Emmanuel Moore, widely known as Kunta, has performed with Master of Ceremonies and Hip Hop legend, KRS ONE. Founder of Mellow Drama Crew (1996), Kunta possesses two decades of performance and competition experience. His competition crew, Curfew Drama, won the 2010/11’ National B-boy League State championships. 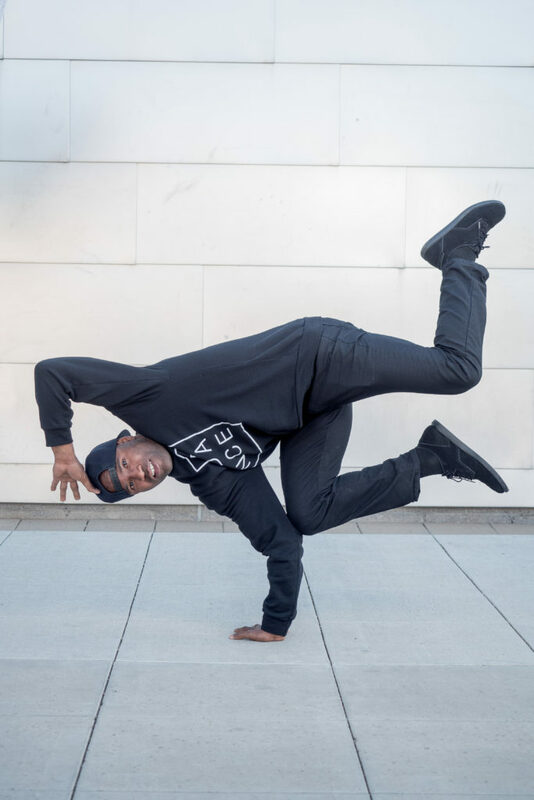 Recognized as a “breakin” powerhouse in the Valley, Kunta offers EPIK Dance Company his knowledge and skill, basing his pedagogy on progress, and explicating the strengths of his students by introducing fundamental principles of dynamic movement and mindful improvisation. While attending Glendale Community College, Kunta was president of Sigma Ki Eta. He’s received awards in performance poetry, informative speaking, and debate. After completing an Associates program, Kunta transferred to Northern Arizona University. He will have his BS in organizational communication in spring 2018. He is also very active in his community, volunteering with Who I Am Foundation, an organization that distributes basic necessities to the less fortunate. Kunta facilitates a positive learning environment for personal and group development stressing the importance of dedication, determination, and discipline through dance.